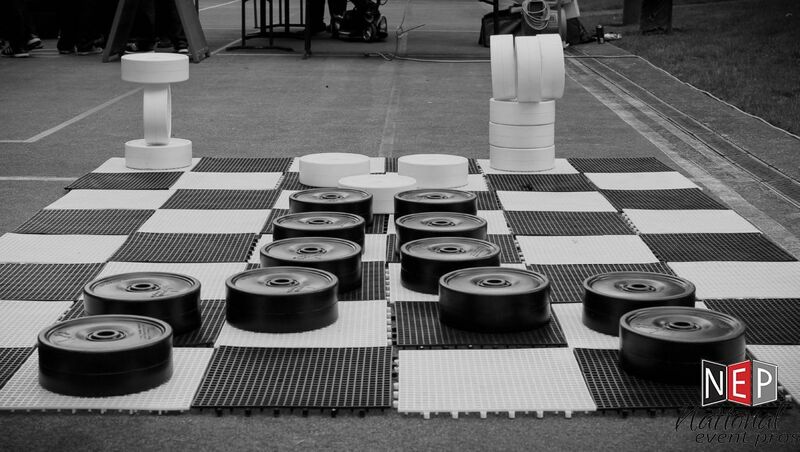 Managing a big event is a lot like a big ol’ game of checkers. For event professionals, producing a large-scale event is a welcome challenge. We love planning for The Big One. The bigger, the better. But what do you do when the size and scale of an event start to get unwieldy? Do we question ourselves, start outsourcing to relieve the pressure, or do we take a deep breath and rise to the occasion? With any event, there are challenges. When the stakes are higher, the potential repercussions of not meeting those challenges loom even larger. So how do we, as self-respecting event professionals, handle these challenges? We decide on décor, entertainment, and logistics. We prepare our people (team, vendors, and equipment). We delegate prep and day-of duties and share information. The way the script turns out, in reality, has a few missed lines, out-of-place props, and maybe even an understudy having to jump into an underprepared role. And perhaps a vendor gets written out of a scene. So what are the steps we take to ensure that these corrections are made efficiently and successfully? As we’ve all been taught most of our lives, being prepared is only half the battle. The Big One, of course, is no different. Luckily, every event in our portfolio has prepared us for the ones to come, and we prepare each day using the same template. But what makes The Big One difference is the way we prepare. First and foremost, the sheer scale of a large event means that our attention is spread out. Vendors, team members, and even the event partners will not be able to get as much one-on-one time with us as we would like. So the time we do have to focus on each person or event aspect has to be efficient and productive. When planning entertainment, you need to make decisions. When planning catering, you need to get answers and numbers. When you decide on a theme or design concept, it needs to be thoroughly discussed. And when you talk to all the different vendors and staff, schedules need to be clear and timelines need to be set. Open lines of communication enable multiple members of the team or vendor roster to step in and out of roles throughout the process. This allows us to delegate tasks and free up time to focus on the direct needs and wants of our event partners, as well as maintain a big picture perspective of the event as a whole. Knowing your team’s strengths and weaknesses will help you know when and how to delegate. You may have one employee who is a better leader than others, seeing each task through to the end while paying attention to the details. Another may be more creative, able to work on design or décor. And another still might have technical skills that enable them to oversee sound and lighting. Knowing your team and putting them in positions that harness their strengths will have a major impact on the final product. Throughout the planning, setup, execution, and operation of The Big One, problems are bound to arise. They may be as simple as trash cans not being emptied fast enough, as panicked as a lost child, or as big as a failed attraction. Staff, attendees, and event partners look to us to have answers and deal with each situation professionally and seamlessly. But how? Whenever possible, be proactive and have contingencies in place. Above all else, though, stay calm and make intelligent decisions that take all angles into consideration. The Big One can be a stressful time. But it can also be exhilarating, reaffirming why we do what we do.